Topp Dogg Fishing Guides was established in 2000. It is owned and operated by Alan Pereyra and Steven Pereyra. 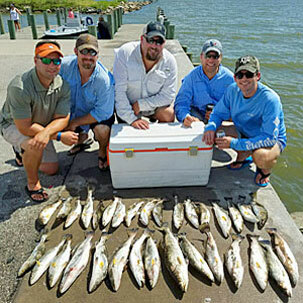 It is a full time guide service that offers various types of private guided fishing trips and fishing charters for the entire Galveston Bay Complex. 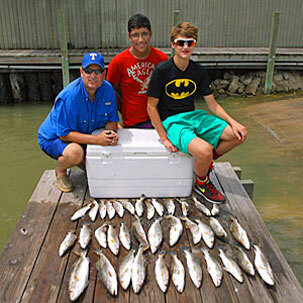 Topp Dogg Guide Service is considered as being the best overall fishing service in Galveston Texas. Capt. Alan and Capt. Steven are very proud of their fishing service's perfect 5 star Google Review rating and the many accolades from outdoor magazines and publications. Capt. Alan and Capt. Steven believe that excellent customer service and satisfaction is the most important quality to their success. They believe if their customers are happy at the end of the day, they have done their job. Happy clients are customers for life. 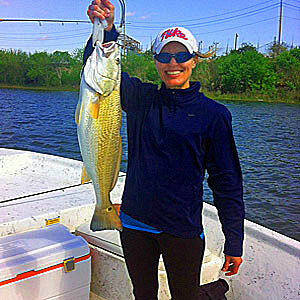 Both Captain's focus on being professional, courteous and helping every angler on board catch as many fish as possible. Having a successful outing, having a fun time and coming back to the dock with a smile on your face is what Topp Dogg Fishing Guides is all about. 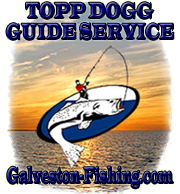 Topp Dogg Fishing Guides has 25 quality sponsors, corporate business and loyal supporters. This is a result of a lot of hard work and doing things right over the years. Capt. Alan and Steven also get involved with the local community. They give saltwater fishing seminars at yearly events like the Houston Boat & Fishing Shows, they donate fishing trips to various charities and love to teach and educate the youth. They both participate in multiple individual and corporate type tournaments every year. Capt. Alan and Steven can handle smaller trips from 1-4 anglers and can also handle trips that need 25 or more boats. Corporate events, tournaments, family outings and bachelor parties are available throughout all the seasons. Both Captain's welcome experienced and novice anglers aboard including children. An experienced and knowledgable guide like Capt. Alan & Capt. Steven gives you a good chance of having a successful outing. Knowing where to go and what baits to use, adjusting to the weather conditions, knowing the fish migrations and proper presentations all contribute to catching more fish. 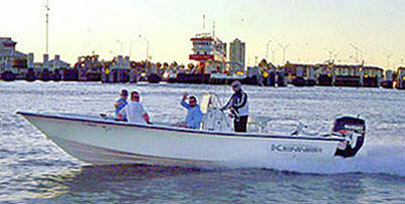 When you book your trip with Topp Dogg Fishing Guides, you will take your outing in a 24 foot Kenner center console boat. This boat has plenty of room and rides great on the bays. It is powered by a 250 hp four stroke Suzuki motor. You will also be using top of the line graphite rods and the best saltwater spinning reels loaded with the best braided line. Live bait (shrimp, croaker, mullet) will be used on most outings because live bait gives you a better chance to catch more fish. Call Capt. 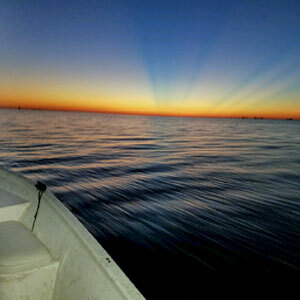 Alan (832) 606-0844 or Capt. 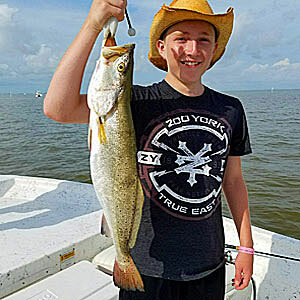 Steven (832) 659-1554 if you have any question about their fishing service.